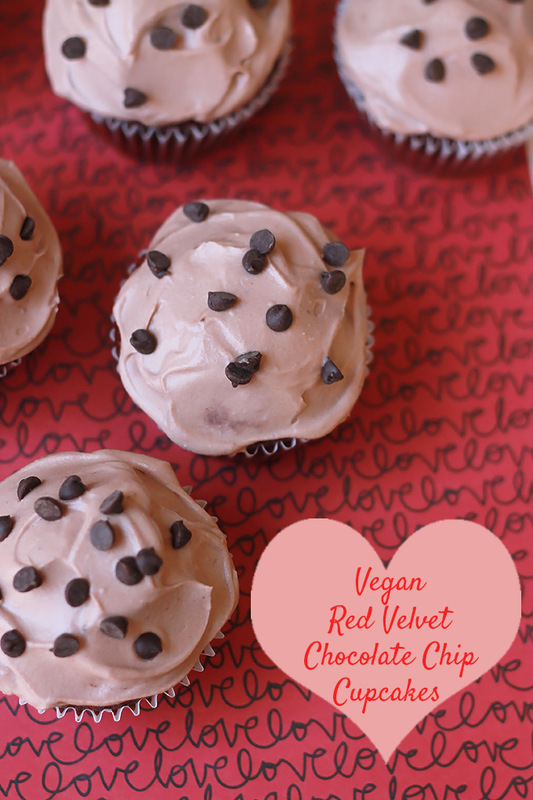 Show some Love – Share these moist and delicious Vegan Red Velvet Chocolate Chip Cupcakes with your friends, family. 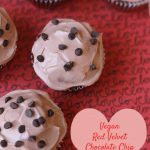 Yes, they’re vegan, but that can be your little secret. 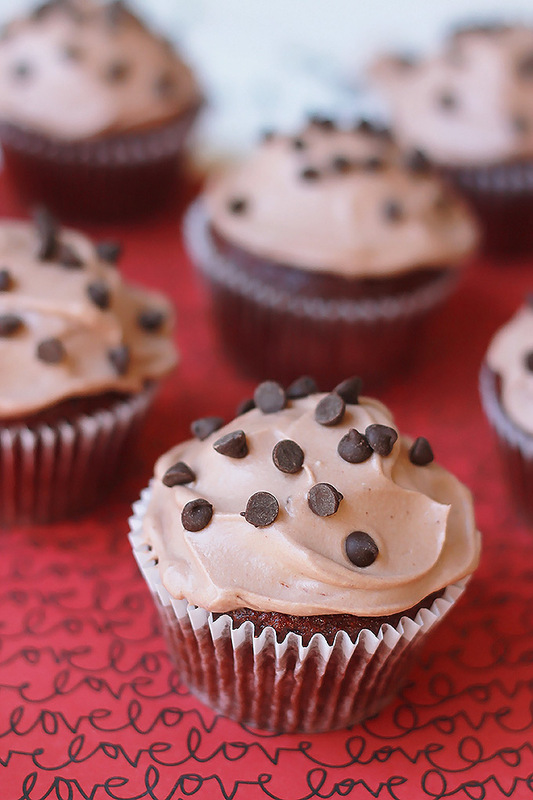 The smooth velvety texture and creamy chocolate chips will leave them wanting more. I made several batches before finding the right combination of ingredients to make them have a dome-like rise that doesn’t fall after cooling and the smooth, moist texture that all good Red Velvet recipes must have. I decided to go in a different direction with the frosting, instead of a cream cheese-like frosting, I went with a coconut cream frosting, a lot less sugar.It’s so good, it will have you licking your fingers. 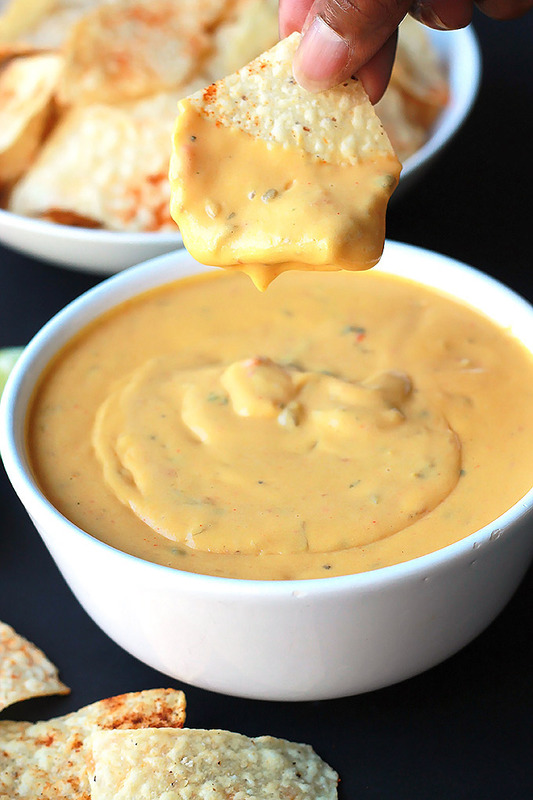 Trust me, you have to make this. Don’t you wish you could reach through the screen and eat one? 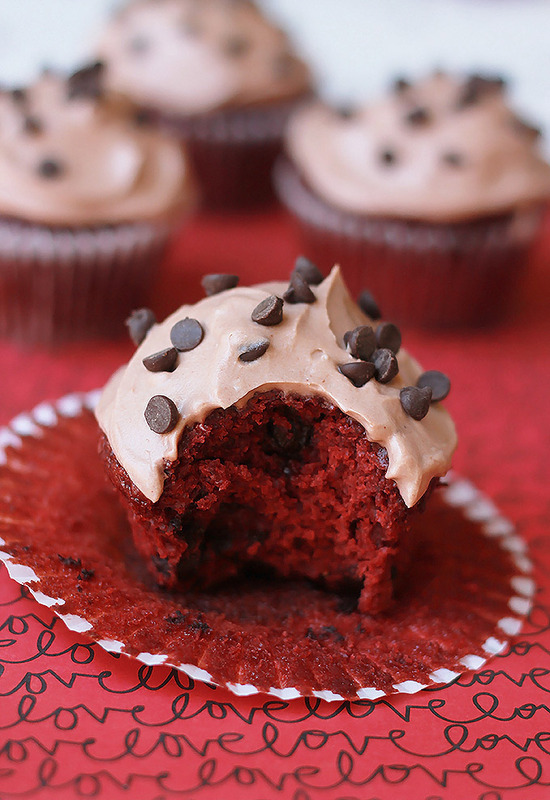 Stop wishing and just go bake some, and have yourself a Super, Marvelous, Wonderful, Happy Valentine’s Day! Preheat oven to 350 degrees and place cupcake liners into cupcake pan. In a large mixing bowl, place dry ingredients and whisk to remove any lumps. Add the wet ingredients and mix with a hand mixed until completely smooth. Fill each mold just below the top, almost full. Bake for 25 to 30 minutes or until when touched with your finger cupcake springs back. Remove and cool before frosting. Carefully open can of cold coconut milk and scoop out the solid cream and place into small mixing bowl. Save the liquid for adding to smoothies. Add the cacao powder and powdered sugar, sifting through a fine mesh strainer to remove any lumps. Mix using a hand mixer until smooth and creamy. 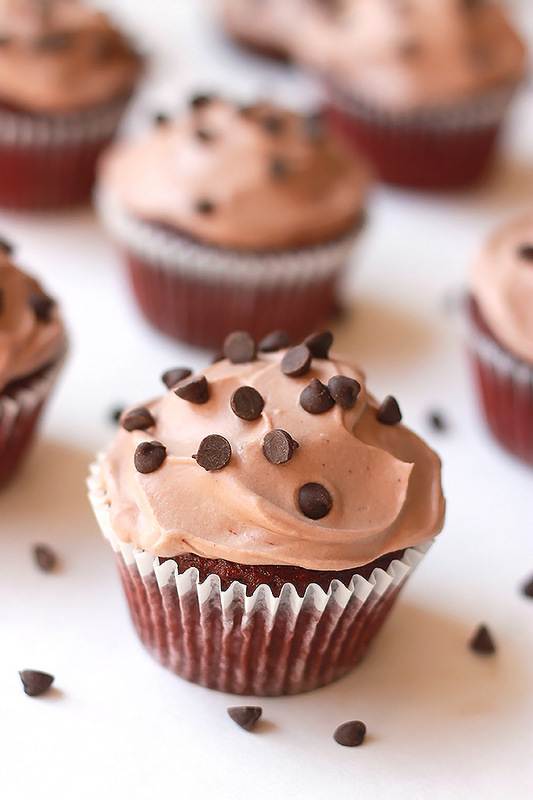 Frost each cupcake with 2 to 3 tablespoons of frosting and garnish with a sprinkling of mini dark chocolate chips. Celeste, these look AMAZINGLY delicious! Valentine’s Day has passed but I think I can still find room to make these 🙂 Recipe looks great, love the ingredients! Yummy!! Now not to eat them all, a few for me, a few for hubby and I better take the rest to work! Yeah, I’m with you on the sharing, I shared with my work friends.